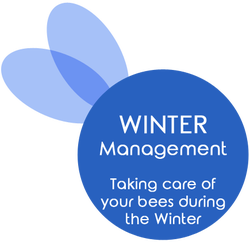 Keeping your bees alive during the winter can be one of the most challenging aspects of beekeeping–especially in the cold winter climate of Eastern Idaho. Earlier this month, the thermometer plunged to 20 degrees below zero here in Rexburg, Idaho. To survive temperatures like this, the beekeeper should provide some sort of insulation and winter protection. I have tried various methods such as wrapping tar paper around the hives or hauling loads of straw to bury the hives in. Tar paper has some advantages. With tar paper, I slide the hives together (groups of 3 or so) and then wrap them up. The black paper absorbs the sun’s rays in the winter and helps heat the hive. 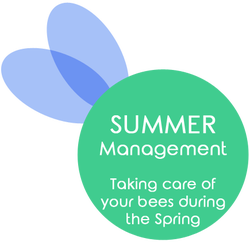 This occasional heating can help break the winter cluster of bees so they are able to move to a new location in the hive to find food. Although this is good, I have had some problems with it. Sometimes the hive becomes so warm the bees break cluster and then the temperature suddenly drops as evening approaches. When this happens the bees can’t come back to their cluster in time. They then become stranded in the cold and freeze. Placing straw bales around the hives and then leaving the front open for occasional winter flights has worked. However, this method has several drawbacks. For one, it is messy and second it is a big chore to haul straw bales in and out of your bee yard. The other problem with straw is the attraction it has for mice, which is a pest you don’t want around your hives. This year, I decided to use styrofoam insulation board. Of all the methods, I have used, I like this one best. I will explain more about it in my next post.